This morning started with the lightest of flurries. I may have rolled my eyes as I saw the snowflakes flutter down. Spring paid us a visit last week, and some early flowers have started to bud, and after this week’s cold snap, warmer weather is on its way. I’m ready. Though today started out cloudy and dreary, the sun has come out – not enough to chase the cold away but enough to make the day less dreary. I wanted to share some of the early spring flowers with you for the same reason. These pictures may not drive the cold away, but maybe they too will take away some dreariness we may feel in the lingering winter. Because today is a bittersweet day in the calendar for me and several I hold dear – a day that would have been the 12th birthday of one of the sweetest girls I have ever known, a girl who loved purple and wore tiaras as much as possible and turned everyday moments into celebrations, a girl who left us too soon at six years old – for her memory, I want to start with this purple Lenten rose. I find these early blooms a solace, a promise that winter will soon leave. 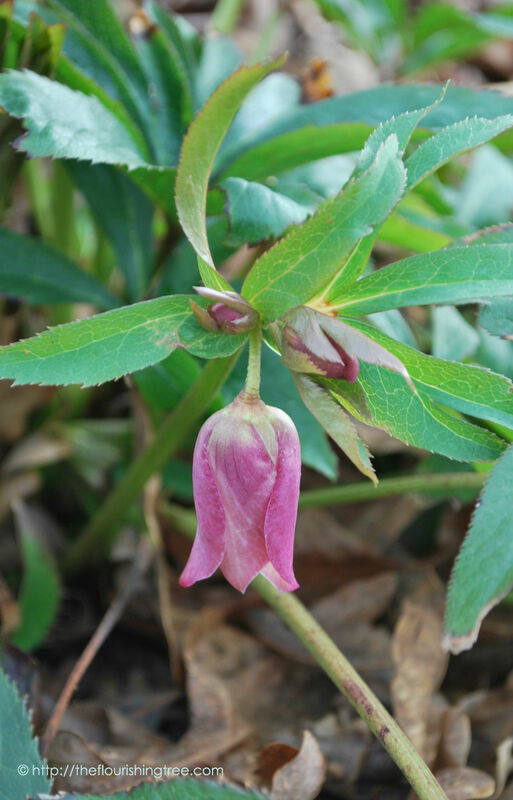 And I thrill to walk out in the garden and see what new flower is pushing its way up out of the cold ground. 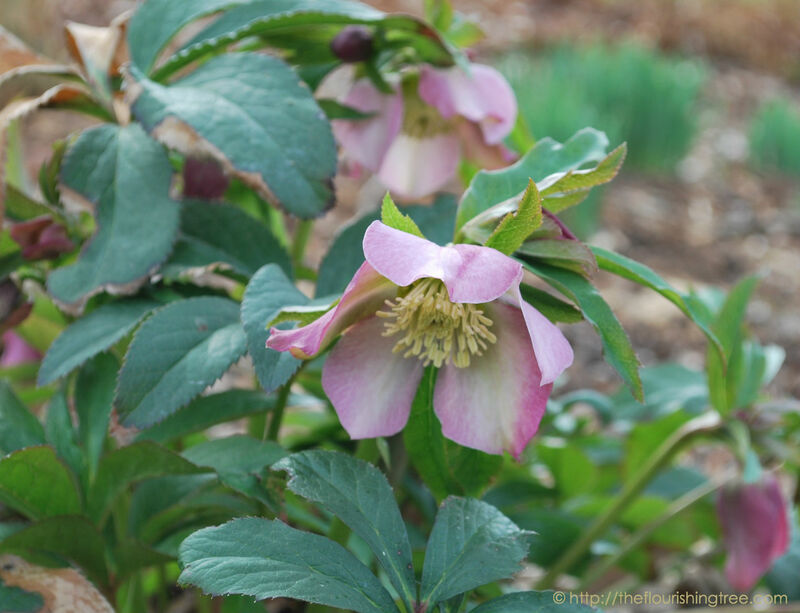 The other Lenten rose varieties also seem to have thrived through this winter, and I’m enjoying the different varieties. I love how this one looks like a tiny inverted tulip. This variety is producing flowers for the first time, and I’m excited to see them open. 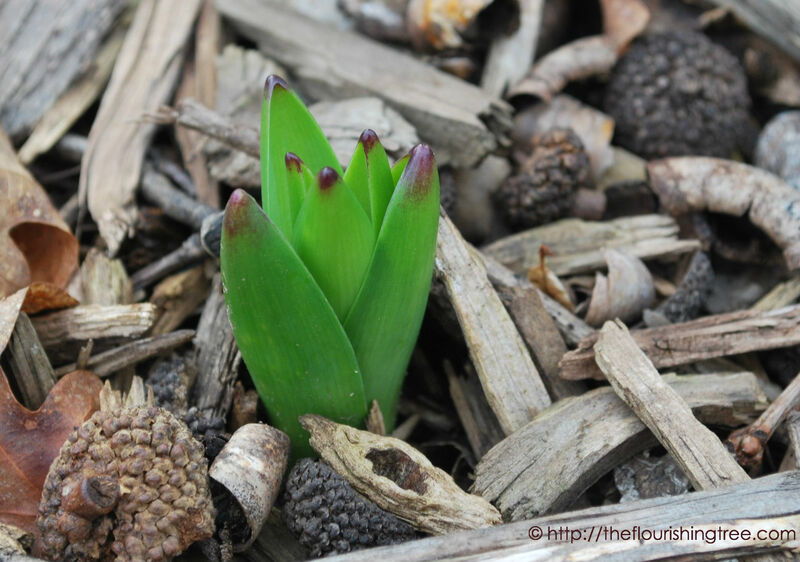 Just yesterday, I noticed my hyacinth bulbs poking up through the mulch. They were a Valentine’s gift from my husband several years ago, and I’m always happy when they come back in February. 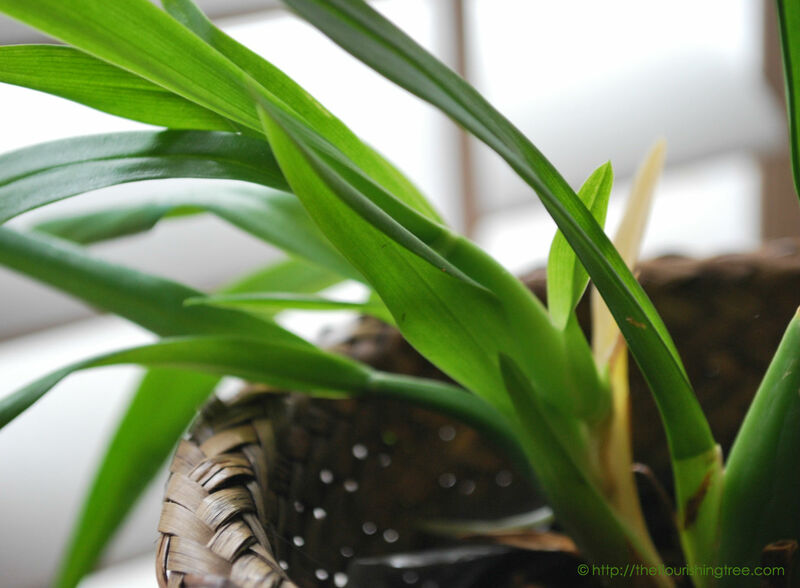 Even inside the house, there’s new life abloom. 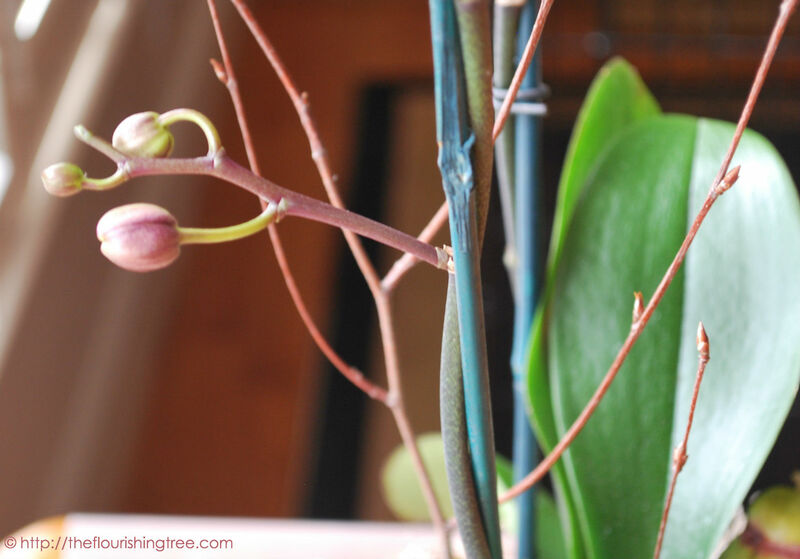 On Saturday, we had some friends over, and one of them wandered in from the room where I keep two orchids – one a gift from my husband and the other a gift from my mother-in-law. My friend is great with plants, but she enthused about how well my orchids are doing. “I always kill mine, but yours have babies!” she said, wanting to know my secret. My secret is that I’m following my mother-in-law’s advice and spraying them with a bottle filled with water and orchid food. These are the first two orchids I’ve managed to keep alive for any length of time, and I was happy a few weeks back when I noticed the one from my husband had sprouted new leaves. I’m optimistic, but even if there are no new blooms, I’m content that it’s still living and growing after more than two years here. Maybe this one will bloom again? This will be the first orchid I’ve ever had bloom from “scratch.” And considering that I usually commiserate with orchids when they come into my home, sad that they couldn’t go to a better home for their own sakes, I’m pretty darn excited about the prospect of this one opening up. For all you orchid growers out there, any tips on repotting? I’d love to transplant both into permanent pots instead of the plastic ones they came in, but maybe I should just leave well enough alone? 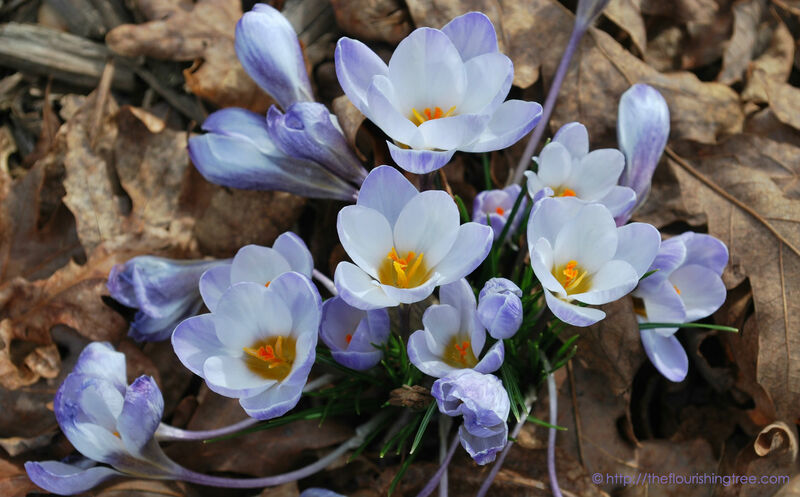 For the rest of you, what flowers signal the promise of spring? Do you have a favorite that you look for each year? 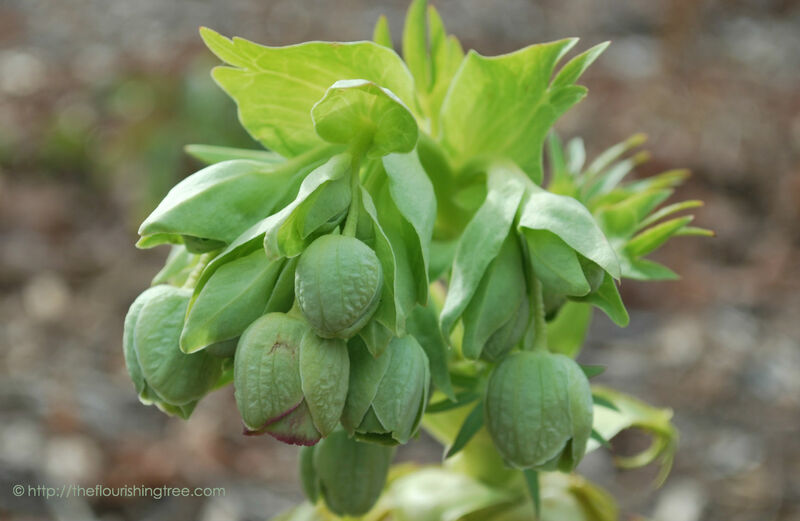 What ways have flowers given you solace? 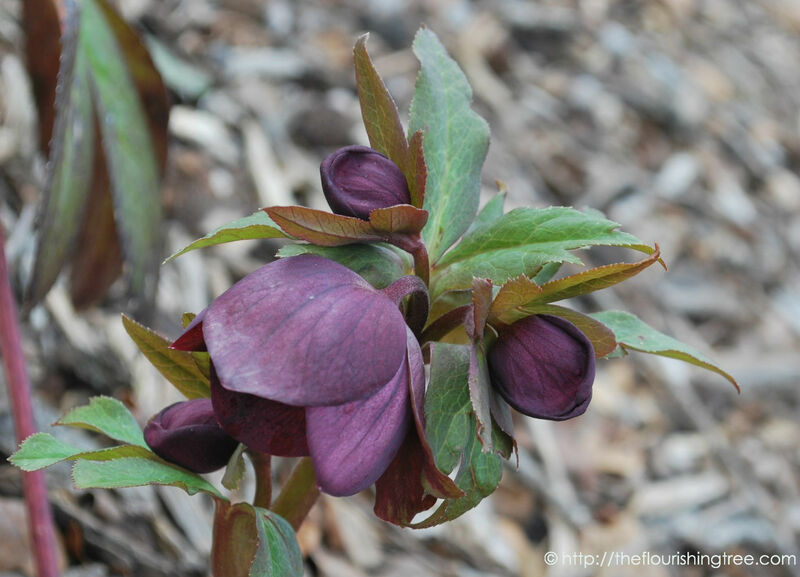 This entry was posted in flourishing tree and tagged crocus, flowers, hellebores, hyacinth, lenten roses, orchids, snow flurries, solace, Spring, winter by hopesquires. Bookmark the permalink.